With Oracle’s Virtual Box running the Windows 7 or for that matter other OS as well in Linux, smoothly it appears to be a death for WINE! 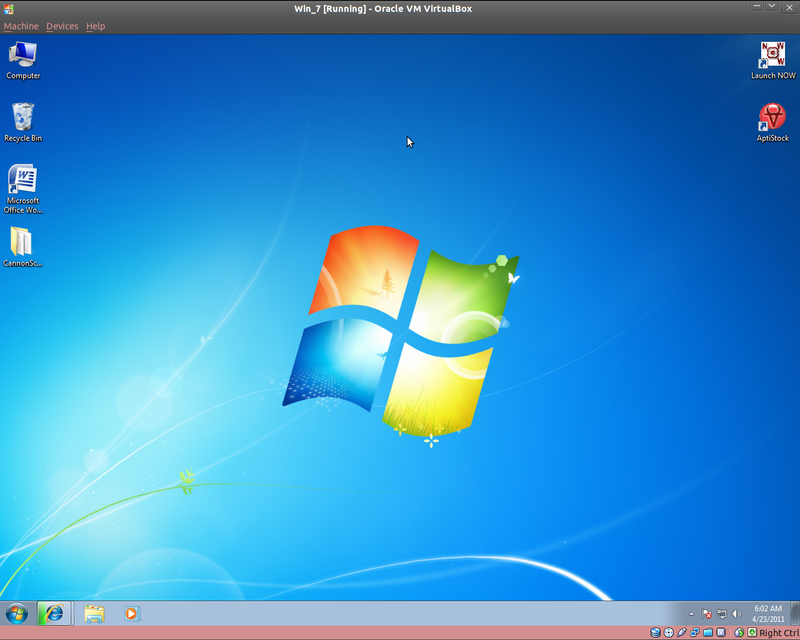 For download links for Oracle VirtualBox see Oracle VM VirtualBox | VIrtualization. This entry was posted in Linux/Ubuntu and tagged Vertualisation, Virtual machine, VirtualBox, Wine alternatives, wine substitute. Bookmark the permalink.